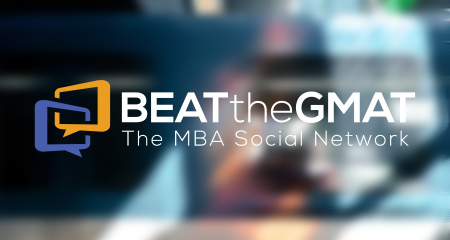 Learn more about Personal MBA Coach or read Personal MBA Coach articles on BTG. Are you looking to get ahead professionally while maintaining your full-time job? Have you demonstrated significant leadership expertise? If so, an Executive MBA may be an option for you. Top EMBA programs vary considerably in terms of required pre-MBA experience. For example, we have helped accomplished applicants with 4-6 years of experience successfully secure seats in the Columbia EMBA program and the Wharton EMBA program. In contrast, all of our successful MIT Sloan candidates meet Sloan’s 10 year minimum for years of experience. EMBA programs also differ in terms of class schedule and required time on campus, with some holding classes Fridays and Saturdays every other week, some Saturdays only and others one full week every five weeks. Wondering which EMBA program could be right for you? 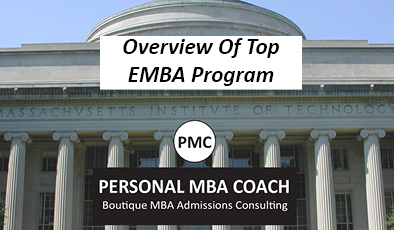 Check out Personal MBA Coach’s new eBook, Overview of Top EMBA Programs and let us help you get into your dream MBA program. Founded by a Wharton and MIT graduate, Personal MBA Coach regularly helps applicants navigate their EMBA applications each year. We also conduct mock interviews with former M7 interviewers on our team. Personal MBA Coach has been guiding candidates through all aspects of the MBA application process for over 11 years with a 96% success rate. Call us today at +1 617-645-2424 or email scott@personalmbacoach.com for a free consultation on your profile along with how we can help make your MBA dreams a reality! If you liked this article, let Personal MBA Coach know by clicking Like. The author Personal MBA Coach gets email notifications for all questions or replies to this post.